With the growing popularity of the Reddit community and the pending closure of Google+, I would like to invite all my friends from the Google+ Real Estate Community to join me on Reddit. The group will have informative posts from agents about how to sell a home. The information will cover topics like boosting curb appeal, how to prepare for the home inspection, what to do with your pets during a showing, and many other things. On the flip side, the group also features articles that provide tips for people that are in the market to purchase a home. Getting pre-qualified for a mortgage, determining a proper budget for a monthly home payment and understanding how credit really works will be covered in detail. The group also offers suggestions for getting a home owner’s insurance policy, different types of homes, evaluating a potential neighborhood and deciding on the right type of loan. The group already has a vast network of real estate agents, mortgage lenders, insurance agents as well as niche providers such as home stagers, interior decorators and certified home inspectors. All of these professionals will be providing the group with timely information to help the community make the best decisions for their housing needs. As much as this will be a benefit to people in the market to either buy or sell a home, this will also be a great benefit for real estate agents, mortgage lenders and any of the various support services that go with home buying. Most agents and lenders understand the value of having their own, separate website. This allows them to showcase particular homes, discuss trends in lending, operate their own blog and get input from support services. Having their own place on the internet allows potential clients to see behind the curtain and get a feel for these hard-working people before entering a contract. These are the kind of professionals that I welcome to my Reddit group. Getting social media exposure across the country will improve their overall online presence and give them key networking opportunities with other people in the business. I have a few simple but important rules for all members to follow in order to maintain the community’s purpose. The brief rules and sign up area can be found on the group’s homepage. Any real estate or related industry blogger who wants an invite to the raindrop group, leave me your email address in the comments below. If you’re looking to get invited to the Flickr group, leave me your Flickr username in the comments. You can also navigate to the contact us page and drop me a message there. Please be sure to read over the group rules and if there are none, take a look at how other people are posting for best practices. Raindrop.io is a relatively new site to me but it’s very similar to a lot of the other social bookmarking sites you should already be on. The link will take you to my bloggers group that I have set up on their network. I do prefer to use the Chrome plugin for this network as it’s so similar feeling to their actual website. It makes bookmarking fast and easy! BagTheWeb has been around for some time now but I’ve noticed that not a lot of bloggers are taking advantage of this social bookmarking platform. Just like most social bookmarking sites, you can create categories or topics for your posts, in this case they call them bags. Within those bags, you can add content to make a really great resource. The link takes you to my Mortgage bag, which is one of several bags that I bookmark into. Flickr is a group that I started up at the end of last year and really only opened it up to other members within the past couple of weeks. Similar to the other social bookmarking sites, this one is pretty easy to use. Just upload your photos, which you can do by copying the image address that’s on any website and paste it into the upload dialog box. Then give it a UNIQUE title and a brief description with the link back the article. Mix (Formerly StumbleUpon) is a great network to be on. Similar to StumbleUpon but with a site design from this decade. Mix is super simple to use and if you grab their Chrome plugin, it makes bookmarking easy! 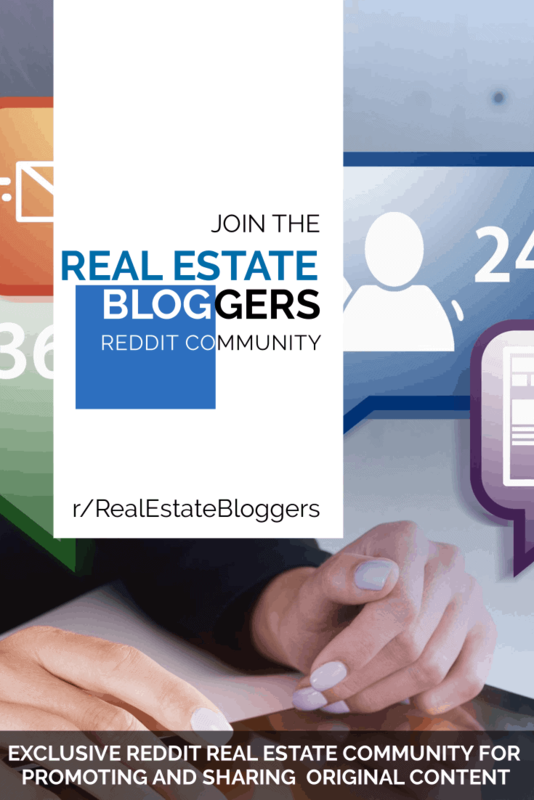 About the author: This article on Joining The Real Estate Bloggers Group on Reddit was written by Luke Skar of www.MadisonMortgageGuys.com. As the Social Media Strategist, his role is to provide original content for all of his social media profiles as well as generating new leads from his website.